In organizing a conference, seminar or any event, choosing the right speaker is a challenging task. Organizers need to have a pool of potential keynote speakers to choose from. The speaker to be invited must be appropriate to the event being planned. Several factors are also considered in choosing the best speaker. Popularity is not enough for an individual to qualify as a speaker. A person needs to have expertise and thorough knowledge of a particular field. Unfortunately, not all field experts and professionals are good at public speaking. They are overwhelmed by the pressures of delivering a talk. The character or personality of the speaker is also important. The person must be comfortable in giving a speech in front of a large number of people. 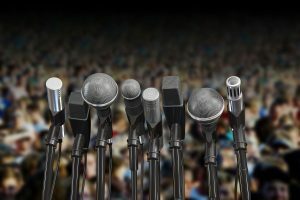 Many professionals and companies would like to determine the traits that good keynote speakers possess. Certainly, professionals would like to develop the art of public speaking. Primarily to hone their speaking skills and to increase their marketability chances. Also, companies would love to hire the best public speaker in town. If a person has a desire to be a public speaker, he has to show confidence in front of the audience. In order to do so, the speaker needs to be comfortable with his self. This way the audience will also be more comfortable with the speaker. Remember, the participants will easily know if the speaker talks from the heart or forced to do so. He needs to have an idea on who will be participating in his seminar or convention. The speaker can research the details personally or he can ask the event organizers for information. This will help the speaker in deciding how to approach his audience and the manner of delivering his talk during the event. Proper voice modulation is also important. 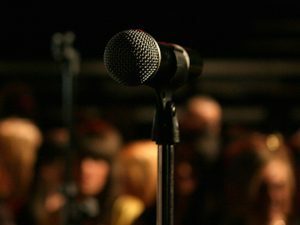 Although most conventions and seminars provide microphones, having this skill is advantageous. The participants will hear and understood the speech of the speaker clearly. This helps the audience focus on the speaker’s talk until the very end. One of the reasons people get bored during seminars is the speaker’s monotonous voice. By giving a variety of pacing during talks, it will keep the convention or seminar interesting and lively. Keep in mind that timing is crucial in this technique. It may serve its purpose or ruin the whole scenario. Sharing anecdotes or personal experiences during talks and speeches will create rapport with the audience. Citing personal observations will allow the audience feel that the speaker is humble. This way, many people can easily relate with the speaker. Being humorous, witty and charismatic in some ways will keep the seminar lively. It makes a seminar more enjoyable and relaxed. This will also generate more active participation among the audience. The public knows that a speaker is invited to give a talk in conventions because of his vast experience in a particular field. Having said that is not an excuse to be complacent in delivering speech or talks. Preparing for the topics to be discussed should always be a-must. Keynote speakers have a big responsibility yet they still feel joyous towards the job. A person is given a chance to share his expertise and educate others. Many speakers feel rewarded after giving seminars because of the satisfaction that they gain knowing they are able to help others. Tremendous hard work and dedication are needed if a person wants to be one of the successful keynote speakers. It is not something that can be achieved overnight. Perseverance and hard work are essential in cultivating the skills of an effective speaker. Rosemary Tyson December 18, 2016 November 22, 2017 . Categories: People. Tags: Audience, Good Keynote Speakers, Keynote Speaker, Keynote Speakers.